Yes, you read correct. 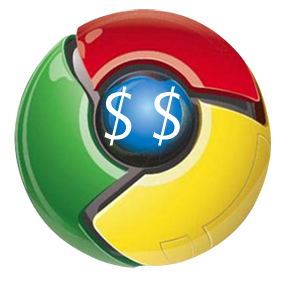 Google will reward you $500 is you report a security bug in Google Chrome browser. Google will even reward you with $1337 if the panel finds a particular bug particularly severe or particularly clever. The bug must be related to security and should be original vulnerabilities. You can report bug through the Chromium bug tracker (under the template “Security Bug”). You can read more information about this on chromium blog. I think Google anxious to remove all bugs from Chrome so that it tops the list.. !! Smart thinking.. Lol.! You can also say smart idea to call more security experts for chrome. I want to thank the blogger very much not only for this post but also for his all previous efforts. I found http://www.techtin.com to be extremely interesting. I will be coming back to http://www.techtin.com for more information.